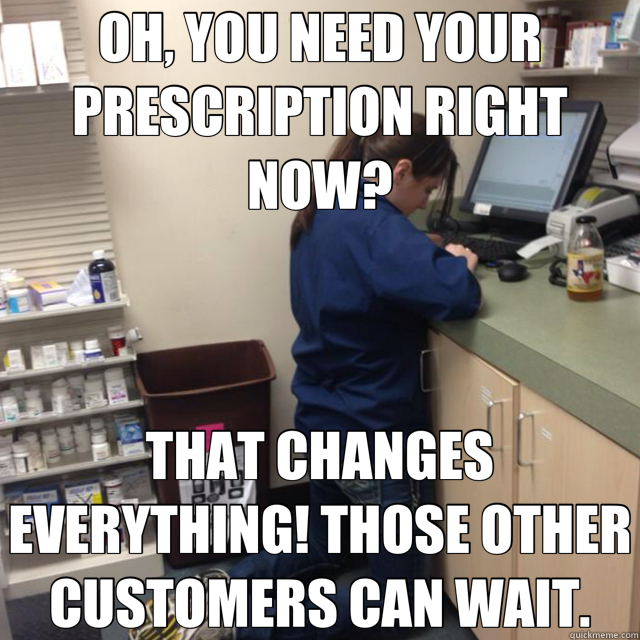 OH, YOU NEED YOUR PRESCRIPTION RIGHT NOW? THAT CHANGES EVERYTHING! THOSE OTHER CUSTOMERS CAN WAIT. OH, HE PUSHED THE DRIVE-THROUGH BUTTON FIVE TIMES? 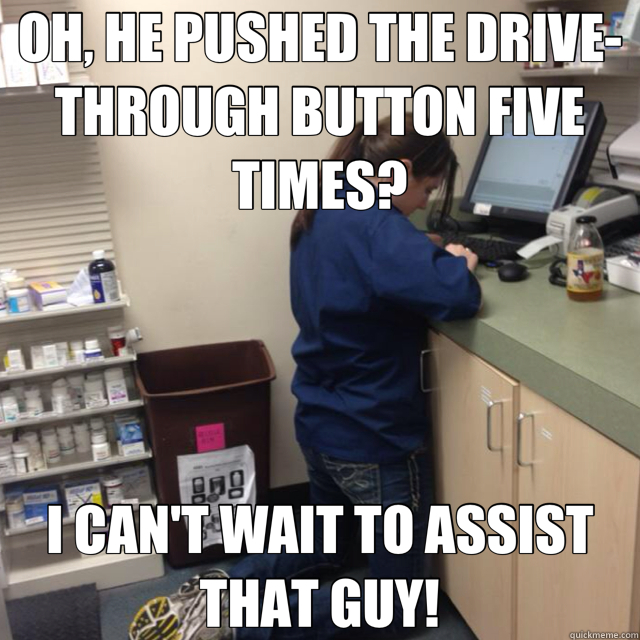 I CAN'T WAIT TO ASSIST THAT GUY!